Hey Friends, Happy Tuesday! I can't believe how fast this month has flown by! The weeks always go so fast this time of year, am I right!?! Nick and I were just talking about the fact that we've been enjoying our low-key week nights a little bit more than usual lately now that the weekends have gotten so hectic. We've had so many things going on that we feel like we literally never stop all weekend and just relax. We filled this past weekend up with house work, family time, and an adventurous date night in an awful thunderstorm that came through Saturday night. But, of course we did squeezed in a little bit of fun time too! Nick went golfing and I snuck in some shopping on Saturday at TeaElla Boutique! 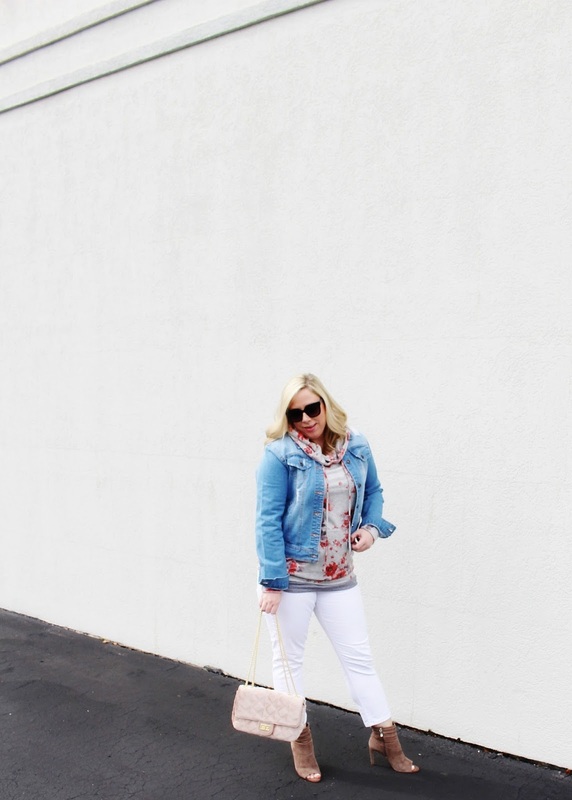 If you haven't check out TeaElla yet, you are missing out! They now have two locations in the Kansas City area, the first location is in Olathe, KS and newest location in Leawood, KS. Plus, they have an online shop for those times when you can't make it by the store and for my out of town girls (BONUS: you also get free shipping when you spend $50 or more online)! 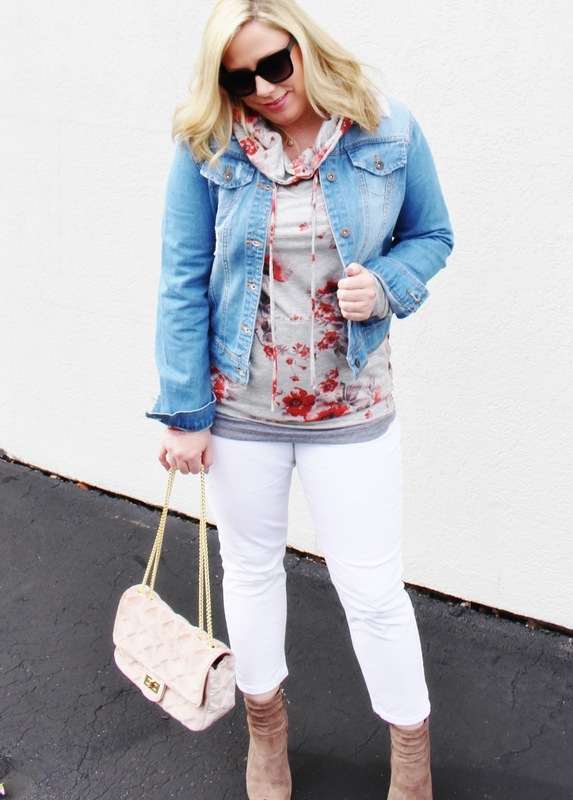 I stopped by the Leawood location on Saturday and scooped up this super cute floral hoodie and distressed jacket. 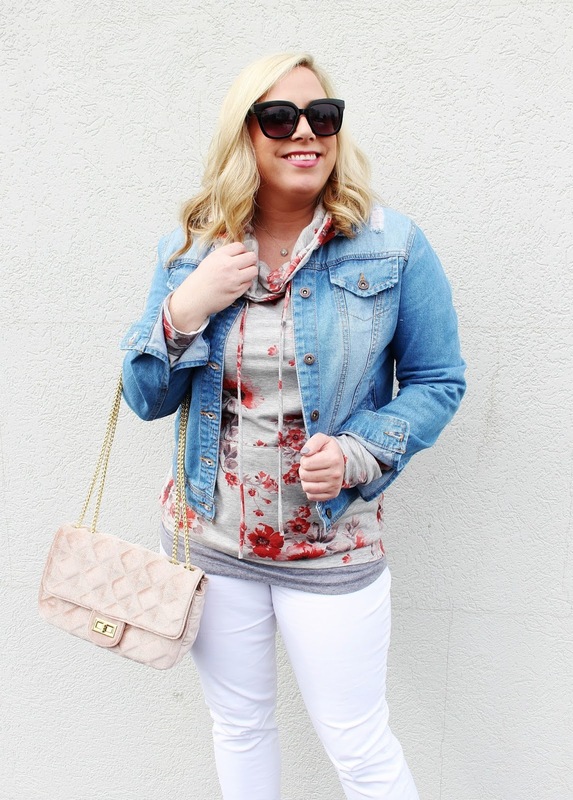 I love a great light weight layered looks for fall and I knew this amazingly soft lightweight hoodie was going to be a fall staple for me when I saw it in the boutique! TeaElla gets new merchandise every single day so there is always something new to try on and they specialize in clothes that make you feel comfortable while staying stylish...seriously, what more could you want! 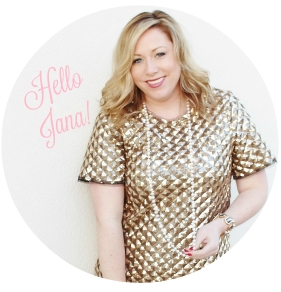 :) Well...there is more, JANA STYLE readers get 15% OFF with promo code Jana15 now through Black Friday (November 24th) Whoohoo!!! 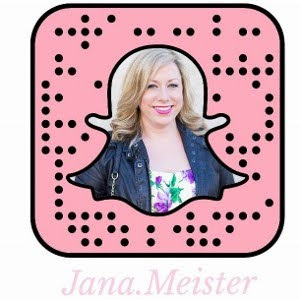 Connect with JANA STYLE® On Social! 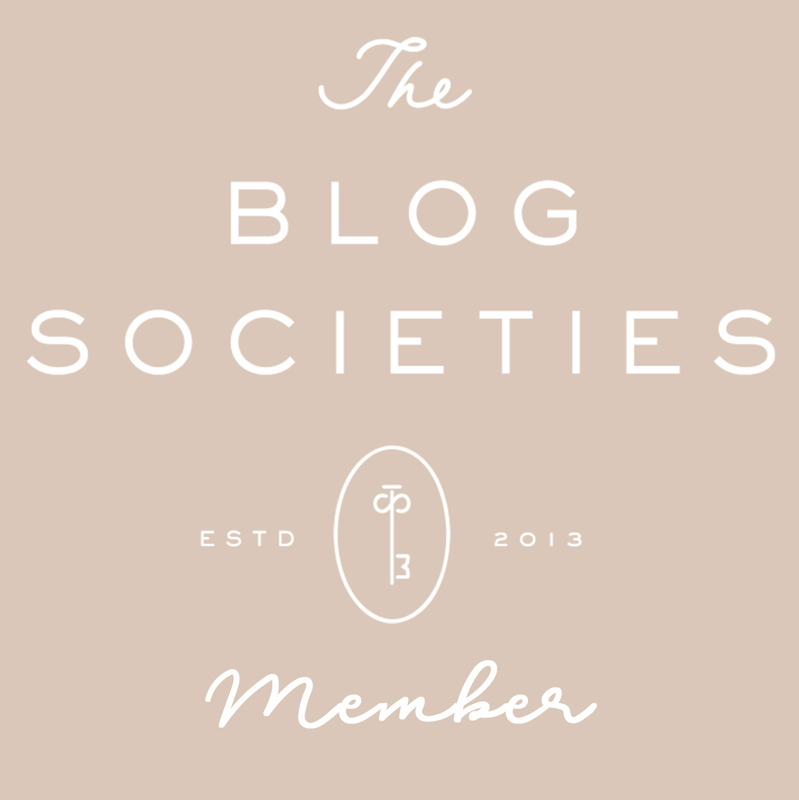 *This post is a partnership between JANA STYLE® and TeaElla Boutique. All opinions are my own. I love the floral and the white!! Hello Tricia! Thank you so much! You should definatley check them out! They have so many cute things, it's a great boutique! That floral sweatshirt is so cute! I need to check out their online site! The floral is so fun! Love this look. 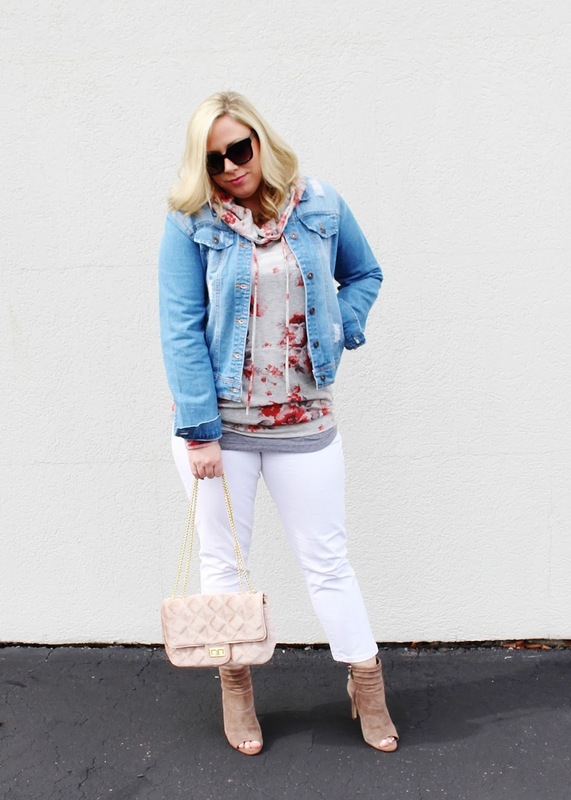 Love your look & also shocked at how quickly this month has gone! It will be Christmas before we know it! 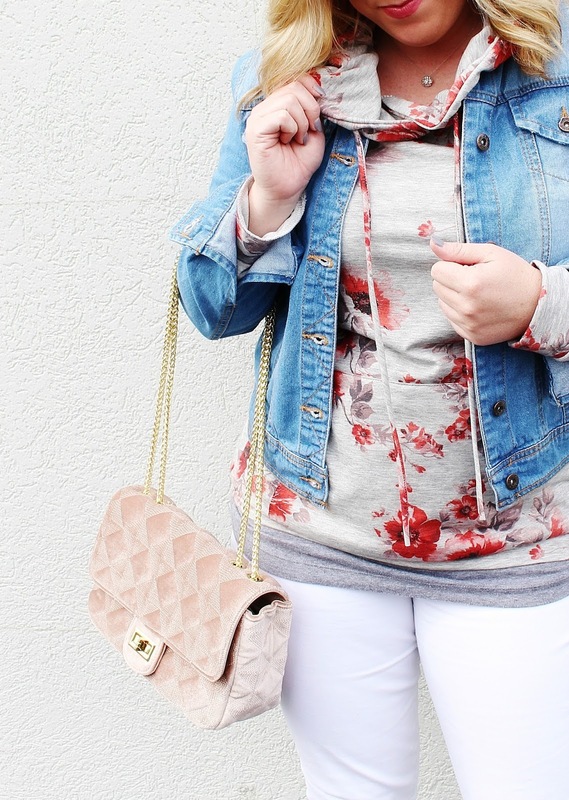 A great denim jacket is a MUST HAVE here in LA year round. 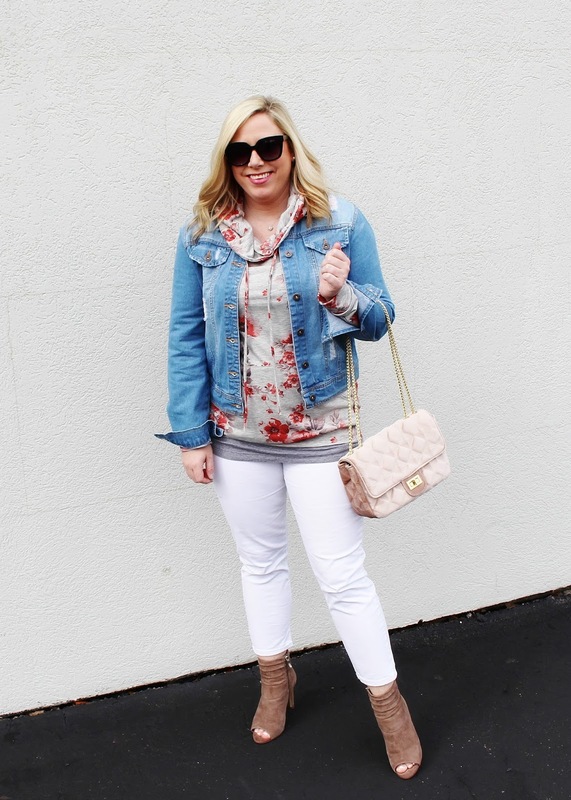 Love the colors in this outfit! 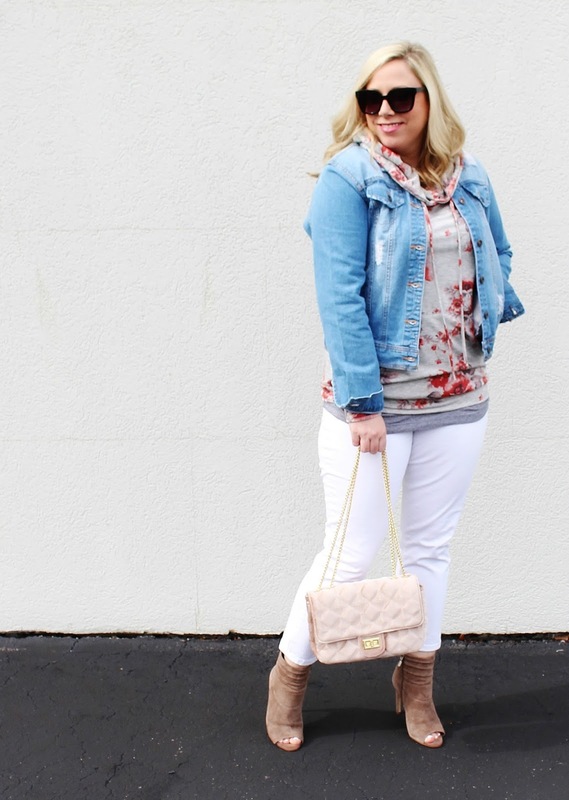 Creams and pinks with a pop of blue! Perfection! Hello Virginia! Thank you so much, I'm so glad you love it! Have a great day! 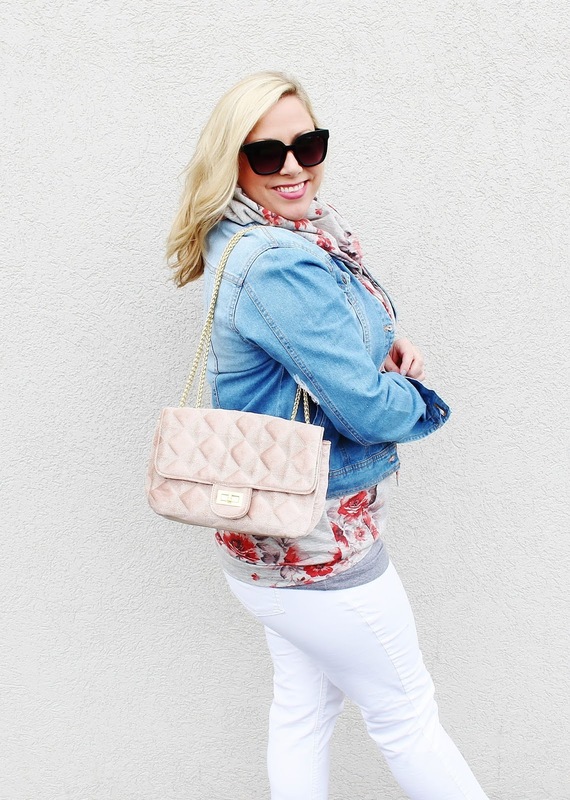 Loving your bag!! Looks like a cute little boutique! Hope your week is going great!